Don't believe me? Read Teacher Confiscates Linux Discs, Chides Charitable Computer Group, "No Software Is Free" on The Consumerist. Yes, there is such a thing as free software. For example, all of the software listed in my article Fix Your School Computer and Prevent Problems for FREE is just that. Please, if you are a teacher in this day and age, don't shy away from educating yourself about technology. In order to prepare our students for the world and to keep them engaged in the subject matter, integrating technology into everything we do is absolutely necessary. Even if it's as simple as having a savvy colleague show you what to do, every little bit you do will help. As you reflect upon the fall semester and start to think about 2009, Larry Ferlazzo's list of The Best Science & Math Websites - 2008 is as good a starting point as you could ask for. His criteria is simple: "they have to be free, engaging, and accessible to English Language Learners". If there's one lesson as important as anything I've ever shared, it's this: anything that works for ELLs will work for all of your students (sometimes better than anything else you might have come up with). So give these resources a good look as you put together your spring semester. 1. The Futures Channel provides short, engaging videos with accompanying lesson plans on a wide range of topics. The site's main goal is to provide real world connections. I've used one of their videos to help teach ratio and proportion in class with great results. All you need is an Internet-connected computer, an LCD projector and speakers to bring many of your lessons to life. You can't legally download the videos, so you will indeed need to be online. There is a subscription service that makes high-quality, full screen versions of the videos available as well as even more resources, but I think what's available for free should be more than enough for most teachers' needs. 2. The second resource is Teachers' Domain, which culls clips from PBS programs like NOVA and Frontline for classroom use. As with The Futures Channel, clips are accompanied by lesson plans and activities. Many of the videos are available for download (depending on copyright issues) so you might not need to be online to use the videos in class. Please share any other free video resources you've found useful in the comments. Preferably, the sites would be accessible from school for most, but if not, you have options: see my post How to Download YouTube and Other Internet Video for School Easily for starters. Thanks! Up until now I have avoided going into specifics about where I teach (for obvious reasons), but this year I would be doing a disservice to my school if I didn't pull back the curtain a bit and make this appeal. 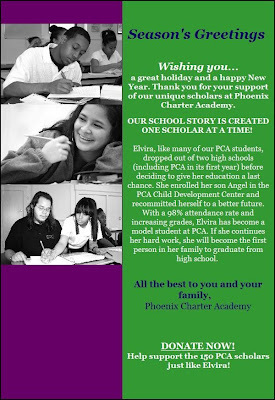 I teach at a young, growing public charter high school in Chelsea, MA called Phoenix Charter Academy. We serve students who haven't been successful in school before due to a variety of reasons, most of which would be no surprise to those of us that have been in this business a while. They come from Chelsea, Lynn, Revere, Everett and other areas throughout the greater Boston area. They are supported by an amazing group of educators who are dedicated to giving them the opportunity to go to college and move on to a better life. If you've learned something from this blog, my book or from corresponding with me that has helped you in your teaching, or even if you just appreciate what I try to do here, I'm making an appeal for your support. We need more teachers, books, support staff, and building repairs and upgrades. Anything you can donate is appreciated. If you want to know more, please contact me and I'll either answer your question or get you in touch with someone who can. The last week or so of Sports Statistics has gone by quite s-l-o-w-l-y. My students are working hard, but the FSM-recommended method of collecting stats is way too cumbersome. Students are directed to the NBA Scoreboard on the New York Times website, where they search by teams playing each day instead of the players. It's taking forever to tally our scores and get them up to date (a problem exacerbated by sporadic attendance). I had thought about how easy it was to look up a player's stats in each game of the season on NFL.com, and realized that NBA.com must have a similar feature. By clicking on "Players" and finding an individual player's page, you can click on "Game Logs" and see only their stats. I don't know why I didn't think of this earlier. I guess I was just so happy to have my students working so diligently that I didn't want to rock the boat. In any case my students are all at different points, so on Monday we will play catch up. I decided to set a moratorium on tallying stats last Wednesday (our last class), so by Monday students should be caught up using the new, quicker method. I think I'll also suspend tallying stats over the break--if we have to come back on January 5th and count up two weeks worth of stats, we'll never be able to do anything else besides adding up stats. I created a new weekly stat tracker that will work if students are going to NBA.com to find their players' game logs. It includes space for 4 games, but can very easily be stretched into 5-6 and still fit on a single page. Another rule I really like is Guy Kawasaki's 10/20/30 rule. Kawasaki, a venture capitalist and columnist for Entrepreneur magazine , gives and receives a lot of presentations in his line of work. The rule is simple: have no more than 10 slides, last no longer than 20 minutes, and have no font smaller than 30. His idea is that your presentation will be more engaging and effective when you keep things concise and easy to read. Even if they're just presenting a poster or other product, helping them make their presentation more effective is as important as the content itself (if not more so). I hope you'll share your ideas for better PowerPoint presentations in the comments as well. If you're anything like me, you do a lot of printing and photocopying each day for class. When I started teaching, I brought my own printer to hook up to my school computer. I used it to print stuff for handouts, tests, and progress reports on demand. I had to constantly replace cartridges on my own, even when I usually printed in "draft" mode to save ink. Even when I had a school-issued printer in recent years, ink and toner replacements were extremely hard to come by. Then and now, saving ink is the rule. Now there's some help on the ink-saving front: Ecofont. This free font saves ink by inserting little circles into the letters, using less ink while still keeping things legible. At home, this is a great way to save ink when printing everyday stuff like directions or similar information. I plan to test it in the classroom as well, to see whether my students will even notice. More than likely, they'll comment on how I should fix the copier because it will appear to be running out of ink as far as they can tell. That's a chance I'm willing to take. So what exactly am I supposed to do with myself today? Today I am experiencing something I have never dealt with in my teaching career: a snow day. Of course, I enjoyed many snow days as a student growing up in New Jersey, usually taking full advantage of it by sledding, snowman building or preparing a snowball arsenal. Before starting here in Boston, I've only taught in south Texas, where it's just a bit more temperate. Today, mere days away from the holiday season, the high in my old home in McAllen is 83 degrees. We did have a rain day once, shutting down schools because massive flooding cut off roads and knocked out power across town. It only snowed once in my five years there, but unless you were born and raised there, to call it anything more than a "light dusting" would be some egregious hyperbole. I'm at a loss. Usually all of my non-vacation days off consist of severe sickness, necessary mental health days, or professional development. The only thing I could think to do was reach out for some suggestions. Help! A new article at Education Innovation highlights an intriguing part of Malcolm Gladwell's new book Outliers: The Story of Success which explains the differences in how numbers are taught in the Eastern and Western world. In short, the language of numbers in the East is far more logical than it is in our language, which could help explain our differences in math achievement, interest and investment. It's an interesting idea, but even taking those differences into account, what can we do about it? We can't change our entire language... can we? We spent a significant amount of time on these topics (among others) at the beginning of the year, as I assume most Algebra I teachers are wont to do. In general, the students did very well at this, but they also tend to forget things not long after learning and being tested on them. So I created this homework assignment for just after we had started finding the slope of a line using the graph, but before using the formula. I know it says "these 2 pages" contain what they need, but I think the second page, which was from a teacher resource workbook wasn't as important as that first page. My Algebra I students have been studying the basics of linear functions the past few weeks, and I wanted to tie everything together with one of my favorite types of projects: the mini-poster. A mini-poster, as opposed to your typical poster, is made on a regular 8.5" by 11" piece of paper (unlined is best, but any regular paper at hand is fine). It can be scaled up or down as homework, a short in-class assignment, or a long term project. Whatever way you use it, the emphasis is less on making a pretty poster and more on what you need your kids to know. The topic of the poster is meant to be something on a small scale: one main idea that students must know. In this case, I wanted students to recognize the "parts" of your average linear function: domain and range, independent and dependent variables, slope, y-intercept, etc. So their assignment was to create a linear function in slope-intercept form, label the parts from a list of given key words, and title their creation. I gave them a completed example on the directions they were given. In my class, it was assigned as homework. This lesson should help you reach everyone in the classroom, especially students who are struggling and ELLs. As with last week's simple slope activity, this handout is designed to be printed as one double-sided 1/2 size page to save paper: print 2 copies, and turn the second one to the opposite orientation of the original. Then make your copies double sided and cut in the middle. The mini-poster is idea #1 from my book Ten Cheap Lessons, available on Amazon.com and other fine retailers. Are Schools and Prisons More Alike Than We'd Care To Admit? I'm consistantly impressed by what I read at the blog Education Innovation, and I wholeheartedly recommend it to any teacher who thinks outside the box. The post Education's Paper-and-Pencil Penitentiary: Life Behind The Walls, comparing teachers and students to prisoners (among other throughts) is a perfect example of the kind of thought-provoking articles you'll find. The whole idea is fascinating, if not frightening. Think about it over the weekend. Productivity hub Lifehacker recently posted about Stanford Engineering Everywhere, which offers free, full engineering courses online. They've also posted a pretty extensive list of free online college courses in a variety of subjects. This is a great way to challenge advanced students, expose all of your students to college-level work and materials, and give them a taste of what they'll be expected to do with all this stuff you're teaching them. I haven't explored everything yet, but I'm sure I'd find some lesson ideas and resources I could use in the classroom as well. Of course, you can also use these courses for your own benefit, be it a thirst for knowledge or indulging in nostalgia for your alma mater. If you're considering graduate school, this could help you with the vetting process for schools and areas of study. If you find anything particularly interesting or useful, please post a comment or email me. Students label each point, then use the formula to evaluate the slope of each line. Students label the lines as positive, negative, zero, or undefined slope. As simple as the directions are, I knew my students needed examples, so I drew two of them. They also get extremely frustrated when they make the smallest mistake, and constantly beg for extra copies of the same paper, so I gave them two blank graphs to make one picture. I left out the part about having students label each point, as I thought that would make these small graphs too crowded. I used graphs from the free printable graph paper resources I shared a few months ago. You can easily print this document as one double-sided 1/2 size page to save paper: print 2 copies, and turn the second one to the opposite orientation of the original. Then make your copies double sided and cut in the middle. I don't think I can recall a project or activity I've done that has fully engaged students as much as this fantasy basketball project has. The students are dead silent all period, tracking down games where their players were active and writing down all of their relevant stats. They spend most of the time online using school-supplied laptops, yet they're not chatting, checking MySpace or anything you'd typically expect them to do when given unfettered Internet access. The class only meets Monday and Wednesday, so the Thanksgiving holiday set us back just after we set up our teams. There was no real draft; students concentrated on making their teams fit under the salary cap outlined in the game rules. Each player was assigned a value before the season started, so there were a lot of bargains to be had with the first few weeks of it already behind us. In fact, anyone left off the "price list" is automatically priced at the minimum value. Celtics center Kendrick Perkins wasn't on the list, for example, so I placed him on my own team (yes, I set one up as another motivational tool for the students once we really get going). Last Monday, the Internet wasn't working, so we weren't able to finish tallying stats for the first 2 weeks of games. We read a section from Freakonomics about sumo wrestlers cheating to lose, and how statistics prove it. There wasn't really a graphic organizer for students to easily write down each player's stats in each tracked category. Thus if they were writing down LeBron's stats for three games over the weekend, they could easily mix up numbers and make mistakes. While my students seem to enjoy the project, I know that they're easily thrown by having too many unwieldy numbers in front of them. The curriculum's creators direct us to get our stats from box scores on The New York Times NBA scoreboard, which has a language all its own to decipher. There are tons of categories with several ambiguous abbreviations (for example, TOT for total rebounds because offensive and defensive rebounds are given their own columns), not to mention tons of players to sort through. A key for the abbreviation is missing from the curriculum book--in fact, the variables in the "Total Points Formula" don't match them, making things even worse. There wasn't enough space for students to add up a player's points, rebounds, blocks, etc and still plug them into the equation we're using for their weekly stats. So I created a graphic organizer for tracking stats throughout the first two weeks or so (8 games). You could trim it down to columns for 4 games if you were using it weekly. I added part of the original curriculum's worksheet onto the back page of that document, with the total points equation included so they could plug in their values for each category. It seemed to help the students track down each players' stats more quickly and easily, and they seemed to be grateful. We weren't able to finish yet, so we can't create a leader board with everyone on it, or start doing things with the data we've collected. That's okay--everything we're doing is further investing the students in the process. Even the students who don't like basketball are into the mathematical side of the game. It's a nice change of pace from my usual math classes! The best part of the class, actually, is working with a colleague of mine who is a die hard basketball junkie (and Celtics season ticket holder) in guiding the class. It's fun to watch him get excited as he gets to expound upon his NBA knowledge to help the kids build better teams. My fellow teachers are so talented at my school that I'm often in awe of them, and constantly reminded of how fortunate I am to work with them. Last week I shared seven great teacher gifts, but I realized after posting it that I had left out the greatest gift a teacher can receive from students and their parents: a sincere thank you. In my experience, teaching is a mostly thankless job, and those of us that care are often frustrated about... well, everything. We're all perfectionists to some degree, believing that we have the power to change students' lives. If we're not successful, we wonder what we did wrong or could do differently. Keeping this in mind, I can't tell you how powerful and important it is to hear "thank you," or receive some kind of thank you note from a student or a parent. I've received too many to count over the years, but every single one is special. It's those thoughts that keep us going, that remind us why we do what we do. So please, don't fret over what to get or how much to spend on your or your child's teacher. A simple show of appreciation, in person or in writing, is more than enough to warm any teacher's heart. Cash-strapped teachers rejoice! Technology website CNET has a gallery of the best Windows software for a hard-hit economy, offering up free alternatives to common software. I can vouch for OpenOffice.org being an excellent, easy to use replacement for Microsoft Office. I've also written before about using free antivirus and firewall software like the ones recommended in the article to help keep your school computer running smoothly (see Fix Your School Computer and Prevent Problems for FREE ). There are tons of practical applications of these programs for your home and school computer, and will save you a lot of money in these trying times. If you can recommend any other free software that would be useful for educators, please share it in the comments. Thank you! UPDATE 7/24/09: Check out AlternativeTo for a full catalog of quality options. UPDATE 1/8/10: Lifehacker explains how to Use Google Suggest to Find Software Alternatives. 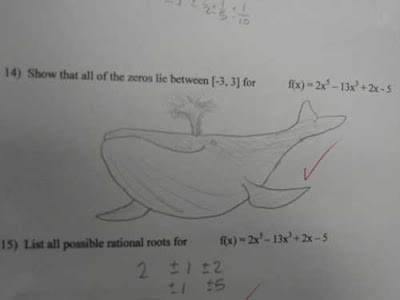 Have you ever gotten an answer like this on one of your tests? Zero Out of Five chronicles the hilarious things students put on tests when they don't know the right answer, or perhaps don't care. It'll put a smile on your face after a long week. I just got an email from a reader about Super Teacher Worksheets, which provides free printable worksheets on all sorts of topics. Although the site is mostly focused on lower grades, I looked around and found plenty of stuff I could use for review or with students who were struggling. The lessons available cover math, reading and writing. If you know of other similar sites, email me or leave a comment. Thanks! In May, I wrote about what teacher appreciation really looks like after reading a catalog full of useless crap covered in empty slogans. With the holiday season quickly closing in, I was reminded that even well-meaning friends and family have historically seemed married to the idea that all teachers want for Christmas is tchotchkes that say "#1 Teacher" and "We Love Teachers". So as a service to the friends, family, students and colleagues of teachers, I started making a list (I've checked it twice already) of great gifts and stocking stuffers that I believe any teacher would love. Do they already have a list? Many teachers have set up wish lists full of books and supplies for their classrooms, which I think is what most of us want (and need) more than anything. Maybe your recipient has fundraising projects on Donorschoose.org. You can probably find them by searching without tipping them off, which means you could pull off a tremendous surprise. I also read about a site called Goldstar Registry, where teachers can make a list of items they need for the classroom. If all else fails, ask them or find out whether there's a book or set of books they need for their classroom. Sharpies! I don't care what grade or subject you teach, Sharpie markers are worth their weight in gold. I use them for everything. Unfortunately, they're constantly stolen by colleagues and students, and most schools are reluctant to buy enough of them. A pack of standard Sharpies in various colors is a great start, but ultra fine tip markers are extremely useful as well. If that's too much for you, you can't go wrong with classic black . Expo Dry Erase Markers . See #2. A reusable water bottle. Teaching is more physical than anyone realizes, and we need to stay especially hydrated. A safe, portable bottle, like this one from CamelBak will almost certainly get daily use for your recipient. Magazine subscriptions for the classroom/teacher. Magazines are just the right size media for teachers--we actually have time to read and enjoy them. They're also great for motivating reluctant readers. Treat us to breakfast, lunch or dinner. Here's something you need to know about teachers: we eat poorly or not at all. Thus anything you can do to help us get vital nutrients is greatly appreciated. Gift cards, though usually impersonal, are okay in this case; make them personal by figuring out places on our way to/from school. An Amazon.com Gift Card . Let's face it, they sell everything, usually for the lowest price you can find. Plus, you know they won't go out of business, so you don't need to worry about your card becoming a useless hunk of plastic. Really nice pens and pencils. We'll take them to school and they'll be borrowed...permanently. Plus, those are probably the one thing our school might provide for us and our students for free. Travel mugs. You get three of them for free when you sign your contract! Inspirational movies or books about teaching. I still have nightmares about Half-Nelson because I identified so closely with the struggles of Ryan Gosling's character. We just can't stomach any of it, because we already do it for a living, and we're usually disgusted by how completely wrong most of these movies get it. The only exception is School of Rock , unquestionable the best teaching movie ever (And please don't leave me comments about Summer School. We all know what Agent Gibbs is best at, and it ain't teaching). Lessons on exponential functions don't have to be all about tedious calculations. You can also use Skittles (or M&Ms, depending on your preference). This activity is pretty easy to set up, and your students will love it just like mine did. You'll have to split your students into pairs, so first estimate how many pairs you'll have. Each pair of students gets a cup, plate and napkin. Fill each cups about 2/3 or 3/4 full of your candy of choice. Let students know they're free to eat everything AFTER the activity is complete. Create a table with two columns: Trial and Number of Candies Left. Pour out your candy onto the plate and count all of them. Record this as Trial 0 in your table. Put all the candy back into the cup. Pour out the candy onto the plate again, but this time only count the ones that are face up--that is, have the "s" or "m" showing. Record this in your table. Put only the candies that were face up back into the cup. Remove all of the candy that was face down--you can eat those now. Repeat steps 3 and 4 until you have no candy left. On a coordinate plane, plot your data as coordinate points. (Ask yourself, "Which is the independent and dependent variable in this experiment?" Your answer will help you decide how to graph the data.) What do you notice about the graph this data creates? What happens in this activity is an example of exponential decay. When your students plot the data as coordinate points on a graph, they'll see an exponential curve. This doesn't even really require fiddling around with Stat Plot on a TI graphing calculator, although they can use it to help create an exponential function that fits the data they found as a final step (or extension). I based my graphic organizer on this Exponential Functions module from Kennesaw State University's Transitions Project, a website designed for teachers in training and obviously worth exploring for everyone else. The only thing I really added to their worksheet was a coordinate plane for students to use to graph the data. I first learned about this lesson at a Texas Instruments training, as we were practicing collecting data, plotting points and curve fitting using the TI-Navigator system (here's two similar TI lessons with and without the TI-Navigator). I never found time to use it last year with my Algebra I students, but it was perfect for my Algebra II students as we started exploring exponential functions. I hope you enjoy using it as much as I did! Students were forced to take it, even though many weren't interested in taking the test any time soon (if ever). It was at the very end of our 8 hour school day. Poor planning and execution by yours truly. I was determined to make my short block class for this quarter as interesting and engaging as possible. I wanted to give students a chance to earn learn math in a completely unexpected way, almost without them realizing it. A colleague had mentioned a sports statistics class he had taught in the past, and I immeadiately remembered the fantasy sports and mathematics curriculum I tried to use last year. In that case, we used fantasy football, but it was too late in the season to pick up with that. Besides, football is nowhere near as popular with my current students as it was with my South Texas kiddos. The timing and situation was perfect to use fantasy basketball as the centerpiece of my new class. Students draft a fantasy basketball team, using player values and a salary cap devised by the Fantasy Sports and Mathematics (FSM) developers. Every day in class, students look up the statistics for their starting players since the last class. Since we meet twice a week, this means that players might have played 2-3 times since our last class meeting. Each statistical category we track has an assigned value. We use a "total points equation" to figure out our total points for the week. As we start collecting more and more data, we'll use it to complete all different types of math problems. Besides the project, we'll discuss the growing role of statistics in sports today, reading and analyzing other kinds of data than just those from our fantasy basketball project. Grades are based on daily maintenance of their fantasy teams and participation in discussions and related math assignments. I can tell you that the students I have, even those that don't know anything about basketball or hadn't signed up for the class on their own, are engaged in the project even in its early stages. I expect things to get even more exciting as we post up weekly scores for the first time, and students get more into the competitive spirit. There's no shortage of interesting articles and books to read on the subject of sports statistics; indeed, there's an entire industry that's exploding right before our eyes. As I told my students, you could study mathematics and get a job with a company, league or franchise doing things that nobody even thought of just a decade ago. Moneyball - The book that changed baseball, and sports, forever. I've found that whether it was social studies or math, middle or high school, most students just don't know how to study. I can't tell you how many times I've told students about flash cards and had them come back and tell me how helpful it was. Using index cards will never go out of style, but now there's a powerful Windows program to help. Teach2000 is a free flash card creation program worth putting on your home, work and students computers. It makes creating, saving and keeping track of different sets of flash cards easy. Imagine this potential project: students are split into groups, each concentrating on creating relevant flash cards for different aspects of the same unit. Then, they could easily combine and share their cards so that everyone could have a complete, thorough set to study with. This is the kind of fun, simple tool that can help breathe life into the initimidating and often boring process of studying for an exam. Mathway: A Website That Solves and Explains Math Problems! It looks like math teachers are about to become obsolete: Mathway is a website where you can type in problems ranging from basic math to Calculus and not only get the answer, but a step-by-step explanation. All of the key vocabulary words in each explanation are linked to an online glossary. You can graph answers on the coordinate plane when needed as well. This should be on every students' list of sites to use for homework help, as well as a great self-directed way for students to check their own work. You could do anything from a set of problems, project or test and then have students correct everything themselves and get detailed explanations all from one website. It's fantastic. There's not much about the people behind this great, free resource, but the company is called Bagatrix, which if I recall correctly was selling software not too long ago that did the same things Mathway does. If this is them reinventing themselves, I think they'll have a bright future. Originally linked by Larry Ferlazzo, the go-to guy for everything educational on the web. 198th Carnival of Education: Christmas Creep Edition! I hear those sleigh bells jingling; ring-ting-ting-a-ling, too. Oh yes it's lovely weather for a Carnival of Education with you! Welcome one and all to the Christmas Creep Edition of the COE, which also happens to be the 198th opening of the midway. The term christmas creep, coined by the Wharton School at UPenn and popularized recently by The Consumerist, is a term for the retail world's ever-expanding holiday season. Decorations, music and merchandise are going up earlier and earlier each year as retailers try to get a leg up on the competition. For example, my local supermarket refashioned their Halloween aisle into a Christmas aisle seemingly before that holiday was even over! With Thanksgiving just a week away, what better time to start celebrating the real holiday season? Here we go! I'm so glad that Jane Goodwin was able to get her submission in just before the deadline, because her Quotation Saturday posted at Scheiss Weekly talks about anticipation of the very raison d'être of this edition of the COE! Steve Spangler presents Milk of Magnesia Experiment - Color Changing Liquid Teaches Science Behind�Antacids posted at Steve Spangler's Blog. Gemma presents Education - advice videos on School posted at VideoJug: LIfe Explained. On Film. More video goodness comes from Heather Johnson, who presents 100 Awesome Ivy League Video Lectures posted at Online Universities.com. Mathew Needleman presents K12 Online 08 Week Two Review posted at Open Court Resources.com Blog. Jim McGuire brings music and lyrics into reading lessons in Come on Readers, Let's Sing posted at The Reading Workshop. The always helpful Larry Ferlazzo presents Students Can Share Their Vision With The Office Of The President-Elect Larry Ferlazzo's Websites of the Day... posted at Larry Ferlazzo's Websites Of The Day For Teaching ELL, ESL, & EFL. Amy Smith presents What Really Happened at the First Thanksgiving? posted at Kids Love Learning. Marjorie presents When it Looks Like They're Not Learning posted at The Life Without School Community Blog, saying, "Thank you." No, thank you! Pat presents How Was My Lesson? posted at Successful Teaching. Marcus Smith presents 3 Painfully Obvious Reasons to Speak in Plain English posted at MarcusASmith.com. Amanda Dixon presents Homeschool Memoirs: ?Mom? Help! posted at The Daily Planet, saying, "as a homeschooler, everyone needs a little "help". Here is how I get some help when I am stressed!" Make a New Year's Resolution to learn Spanish this coming year: Spanish Kit presents An Introduction to Spanish Nouns and Genders posted at Learn Spanish Blog, saying, "Nouns and genders to start off anyone interested in learning spanish." Follow that up with Speak7 presents Ser vs Estar, Tener vs Hay Que posted at Learn Spanish, saying, "Complete guide to help with these common Spanish verbs"
CCUSD Watch presents Scottsdale teachers charging for letters of recommendations... posted at CCUSD Watch, saying, "CCUSD Watch is an advocacy organization focused on Cave Creek Unified School District No. 93. Our Motto is 'It’s the curriculum, stupid!'. Contact us at ccusdwatch@hotmail.com" Joanne Jacobs comments on the same issue in How much for a recommendation letter? posted at Joanne Jacobs. Matthew Ladner presents The Proficiency Illusion posted at Jay P. Greene's Blog. BardBlogger presents Is Our Children Learning? posted at The Bard Blog. jim pudlewski presents Test scores improve, but is that helping students? - Teaching Excellence Network posted at Teaching Excellence Network, saying, "Is NCLB accomplishing its goals. In Chicago, it is not resulting in college-ready graduates." Darren presents Pledge of Allegiance posted at Right on the Left Coast: Views From a Conservative Teacher. Travis A. Wittwer presents Stories from School: Practice meets Policy: How to Take Down a State Education System in 3 Easy Steps posted at Stories from School: Practice meets Policy. woodlassnyc wonders Is there a blacklist? posted at Under Assault: Teaching in NYC. Nancy Flanagan presents The Audacity of Pumpkin Pie posted at Teacher in a Strange Land, saying, "Jay Mathews muses on evaluating teachers--and the Teacher in a Strange Land approves. Have some pie." Robert Pondiscio presents Gates Foundation Standards? Why Not? posted at The Core Knowledge Blog, saying, "The Gates Foundation is talking about trying its hand at drafting national standards. It's a fine idea." NAOMI presents British kids believe Churchill walked on the moon. posted at Diary From England, saying, "Thought your readers might be interested in this post. Just shows how little some British schoolchildren know about the world around them." Travis A. Wittwer presents My Neighbor's Bike Skills posted at Stories from School: Practice meets Policy, saying, "A parody of many commonly used teaching tactics." Carol Richtsmeier presents More Stupidier, FERPA-ized & Conspiracy Theories posted at Bellringers. Heather Wolpert-Gawron presents Fundraising Mafia posted at tweenteacher.com. Mister Teacher presents Learn Me Good: Tales of a 3rd grade forger posted at Learn Me Good. Exams are Over, and I'm Home for the Month! Matthew Paulson presents More Options for Working Moms, mostly focused on how working moms can go back to school, posted at American Consumer News. Michael. presents The AutoAdmit Scandal: The XOXOTH Secret Forum Identities posted at International Law News. Khan presents Preparing for the Peace Corps posted at Higher Education and Career Blog, saying, "It’s never too early to start learning about the Peace Corps! And even though graduation may seem a long way off, there are some things you can do now that could help you qualify for Peace Corps programs when the time comes to apply." Trisha Wagner presents Student Loan Debt Settlement Debt Free Destiny posted at Debt Free Destiny. lorri giovinco-harte presents Learning to distinguish between motives of profit and the well being of children posted at Lorri Giovinco-Harte, saying, "When the lines between profiteering and education become blurred, how can we discern what information is valid and what is not?" Alvaro Fernandez presents Neuroplasticity and the Brain That Changes Itself posted at SharpBrains, saying, "Review of a great book with compelling collection of tales about the amazing abilities of the brain to rewire, readjust and relearn." Laurie Bluedorn presents Trivium Pursuit » Blog Archive » Talented and Gifted posted at Laurie Bluedorn. oldandrew presents Success posted at Scenes From The Battleground, saying, "British blog about teaching in tough schools"
Dave Saba presents Building a GREAT teaching workforce posted at DoE- Dave on Ed. Corey Bunje Bower speaks to the same issue in What to do about Teacher Certification? posted at Thoughts on Education Policy. Clix presents Why I Hate Foreshadowing posted at Epic Adventures Are Often Uncomfortable. Rense Nieuwenhuis presents Immigrant Children’s Educational Achievement in Western Countries: Origin, Destination, and Community Effects on Mathematical Performance Curving Normality posted at Curving Normality. Katie Beals presents 6th Grade English Class in the 21st Century: multiple literacies posted at Out In Left Field, saying, "Out in Left Field s a blog for left-brainers that monitors right-brain biases (esp. Reform Math, Constructivism, and cooperative learning) in education and elsewhere." And finally, one of my personal favorite bloggers, Brazen Teacher presents Not on the List posted at This Brazen Teacher. Don't forget to indulge in last week's COE, hosted at The Core Knowledge Blog, as well as past and future carnivals by visiting the Blog Carnival website. You might also be interested in the 166th COE, hosted here back in April. Go ahead and start submitting for next week's edition on this handy submission form. Thank you! Technorati tags: carnival of education, blog carnival. Getting constructive feedback from your students is essential to your growth and improvement in the classroom. I'm constantly trying to write new student feedback surveys to get them to open up and give me their unique perspective into how things are going. The school year at my current school is broken into quarters, the first of which ended last week. As I usually do, I asked students to fill out a short survey after their exams. I based this on a college professor's end of course survey that asked the kind of simple, straightforward questions I wanted the answers to. Unfortunately I didn't get a lot out of the results this time around. I'm convinced things aren't going very well, but I got a lot of responses that suggested I not change anything and that things were fine. I also had a very low response rate. In the end I'm still wondering what it is I'm doing wrong because to be honest, it's been an incredibly difficult year so far. I'm hard pressed to identify a more challenging year in my short career, which is saying something. This week's Carnival of Education will be hosted right here this Wednesday! Submissions are due by 6:30 pm Tuesday. Check out last week's carnival hosted at The Core Knowledge Blog in preparation! The BINGO Master template is probably my most tried-and-true, favorite review game for classroom use. I've used it since my first year of teaching, and it's always been successful, even with the most difficult classrooms. It's also painfully simple. Steve Mashburn, Coordinator of Online Education for Forsyth County Schools in Georgia, created this spreadsheet in 2001. You type in 25 vocabulary words and definitions, and then click the "Print Bingo Cards" button. Within seconds, 30 different bingo cards and a call sheet are generated and ready to print. Vocabulary, of course, is not the only way to use BINGO Master. I used it for end-of-quarter Algebra I & II review recently. Algebra I students solved one and two-step equations and found the answers on their bingo cards, with numerical answers appearing on their cards and the equations on the call sheet. I would write them out, doing an example here and there to guide them along. Algebra II students factored polynomials in their version of the game. In previous years, we played basic operations bingo--operations on integers, evaluating expressions and order of operations problems. This would be ideal for the first week or two of Algebra I and for pre-algebra lessons in earlier grades. Make sure your spreadsheet program has macros enabled in order for it to work. Otherwise, this is about as flexible and easy to use as anything in your teaching arsenal. For more flexible, easy ideas, check out my book Ten Cheap Lessons: Easy, Engaging Ideas for Every Secondary Classroom. I want to share three great resources I found through Lifehacker, the personal productivity and technology website, which is worth checking out on a regular basis for any teacher. If you are currently a Teach For America corps member or an alumni like me (RGV '03), you can now download the digital version of my book for free via TFA's new Resource Exchange. All you have to do is log in on tfanet.org, click on "Resource Exchange" and search for "Ten Cheap Lessons" (make sure you include the quotation marks). This is one small way for me to give back to the organization that gave me the greatest, most challenging experience of my life. If you don't fall into the above categories, you can find Ten Cheap Lessons: Easy, Engaging Ideas for Every Secondary Classroom at Amazon.com, Barnes & Noble and other fine retailers. In Algebra I, teachers often have to teach quite a bit of basic geometry. Sometimes, this is part of a far too ambitious state curriculum that covers too many topics in too little depth. This is also to prepare students for taking Geometry next year, standardized tests, and college entrance exams. Of course, solving expressions for given values is an essential part of basic algebra as well. So although finding area and perimeter of polygons as well as area and circumference of circles is a bit tangential to algebra, it's a good tangent to be on. As we finish up our first quarter of the year, I thought a unit covering these topics would fit in well with the rest of the foundation we're building. I wanted to have a simple assessment to wrap things up while helping students to retain the information in the long term, so I drew on an idea from my former department head. She had students create a formula book. The book contained every formula from the sheet given to students for the TAKS (the Texas state standardized test). Students would then show an example of a problem where they would use they formula. Well, if it ain't broke, don't fix it, right? My version of the formula book contains formulas and examples for perimeter of any shape; area of squares, rectangles, parallelograms, triangles, trapezoids, circles and compound shapes; and circumference of circles. Each page had a title, formula and examples (2 different ones for most). As for what the book would look like, that was a creative decision for each students. Most opted to fold a regular size paper in half and staple the middle like a book binding. I was reading your blog posts on teachers and education the other day and realized that with school in session, budget strings tightening and teacher salaries being what they are, that you may be interested in learning about a cool scholarship opportunity available to teachers via www.libertymutual.com/teachers. According to the site, teachers from across the country can apply online to receive one of 15 fully funded master’s degrees via Pearson. Time is running out though as the scholarship applications are due October 31 so I thought you might want to check it out, or at the very least, share it with your friends and readers who may want to apply. There’s also a school grant application which your school administrator may want to check out. It provides 10 separate $10,000 grants to fund professional development opportunities in schools. I did some research and I think it's worth considering. The grant and scholarship applications are located on Liberty Mutual's Learn Return website, which also provides links to distance learning courses offered via Pearson. The program was announced this summer and the applications are due October 31st. According to the website this is an extension, and the fact that I received this email from a PR rep suggests that there haven't been many quality applications, which should bode well for anyone who's seriously interested. There's more information here and the official rules can be found here. I hope that you have a three day weekend in observation of Columbus Day as I do, but either way, this book is a great way to escape the stress of school. I actually haven't read any of David Sedaris previous books; instead, I listened to all of his previous work on audiobooks driving between Texas and New Jersey over the last few years. Indeed, I think that audiobooks may be the best way to fully appreciate Sedaris's work. His voice and delivery enhances every punchline, whether he's in the studio or drawing from the energy of a live audience. It's just as suited for iPods on public transit as it is for long car rides, and you're really drawn into the stories with Sedaris. That being said, I decided to take full advantage of a commute where I'm not driving and actually read Sedaris's latest collection, When You Are Engulfed in Flames . What I love about his books is how deeply he thinks about every person he observes or interacts with; he imagines their lives, their motivations, their internal reactions to whatever he has said or done. Inanimate objects and non-talking animals are brought to life in vivid, hilarious ways as well. There's also an underlying theme throughout Sedaris's essays written since he met his boyfriend Hugh. For all his tongue-in-cheek contempt of Hugh's ability to handle any situation and casual dismissals of Sedaris' many neuroses, Sedaris clearly loves and needs him to survive. It also provides great comedic fodder: Hugh is the straight man to Sedaris's ridiculousness. It's reminds me of the scene in Annie Hall where Woody Allen chases a lobster around the kitchen frantically while Diane Keaton wonders out loud why he's making such a big deal out of it. I don't know why this thread, more than anything, speaks to me, but I know it's both touching and endearing. If you've never read anything by David Sedaris , know that he paints a lively picture of what might seem like the most mundane moments of life. You enter his world completely; instead of viewing each episode as an outsider who might grow annoyed by Sedaris's many anxieties, you find yourself agreeing with him and recalling your own recent (or ancient) traumas. This is why When You Are Engulfed in Flames is perfect escapist reading for the stressed-out teacher. It is hilarious, fully enveloping, and has nothing to do with teaching (except for Sedaris trying out a language school in Japan during an extended trip there). If you're hooked, you can't go wrong with The Ultimate David Sedaris boxed set , which contains audiobook versions of everything up to and including his last book, Dress Your Family in Corduroy and Denim . Let me know what you think! Stressed? Read more ideas about teacher stress relief.